Being a close technology partner enables SELLA CONTROLS to provide customers with the expertise and experience to provide a range of solutions, which deliver to our customer’s requirements. Having already worked together on other projects in the rail sector, SELLA CONTROLS and Mitsubishi Electric have combined their industry expertise and proven products to design a modern, cost-effective, COTS (commercially off the shelf) based Remote Terminal Unit for Traction Power Substation control. John Blackwell, Managing Director of SELLA CONTROLS comments, “We are working closely with Mitsubishi Electric to develop new innovative solutions for our customer base, which has been made possible with the mix of SELLA CONTROLS’ industry knowledge and technical capability supported by Mitsubishi Electric’s industry leading technologies”. 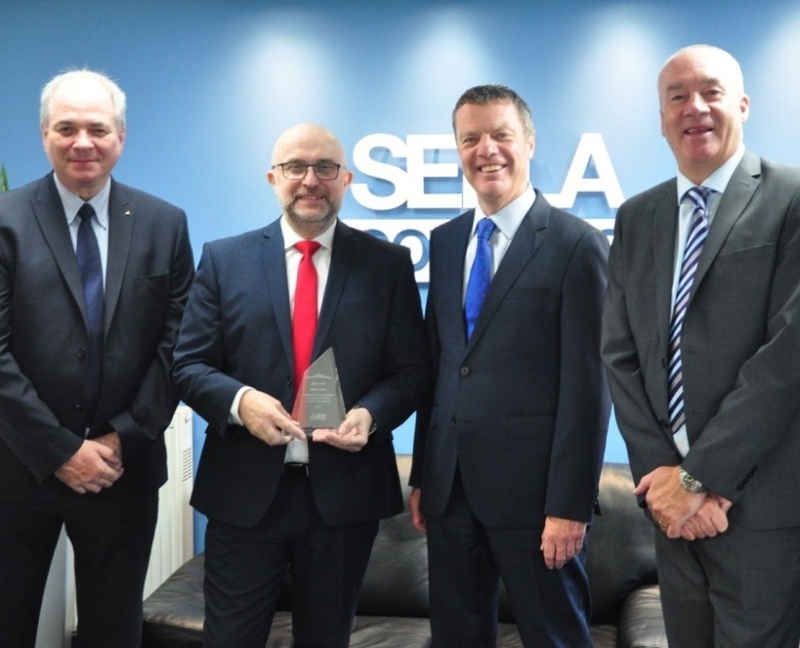 David Bean, Sales Manager of Mitsubishi Electric comments, “This award symbolizes our deep appreciation, partnership and mutual trust that is the result of our active collaboration”.